Only the Batmobile set is in stock at the moment. The other two were available very briefly yesterday and the day before. 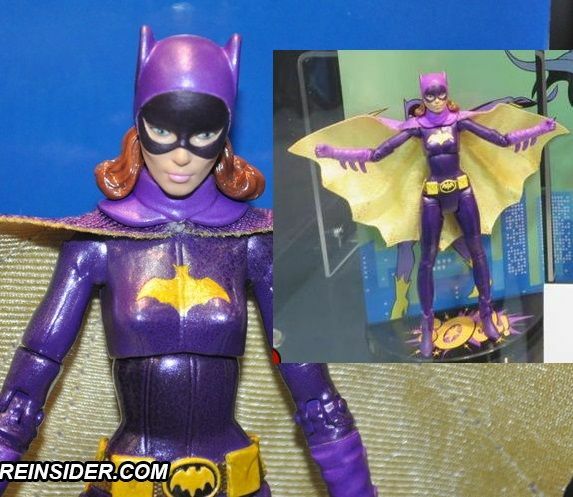 Anyone else who got Batgirl notice that the likeness is different than the one first shown at SDCC? There is more skin visible above the eyes. Also, the cheekbones were more prominent before. I just noticed this the other day and i'm not sure why that change was made. 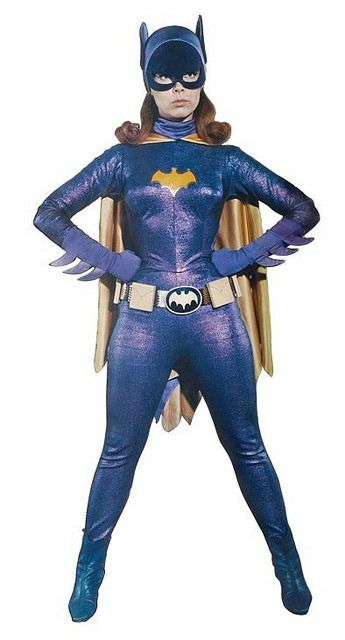 I think the original face sculpt better reflected Yvonne Craig's look. Oh well, at least we got a 66 Batgirl. I'm hoping someday Neca or DCC makes figures that are more accurate. For now these are okay I guess. I'm not sure... There are a few things that make it look like a different sculpt and other things look the same. I have a bigger issue with the colors that were used. The sample shown last year was pretty dead-on to the costume, but the production figure has the lighter colored cape, gloves and cowl when they should've been the same color as the body suit just not glittery. And the "ears" and the "shadow" part of the cowl are the same color as the bodysuit instead of being black. The hair is more brown than red, too. Somehow those changes had to get past WB approval so I have to wonder if the changes were dictated by them because that sample last year was fine the way it was. 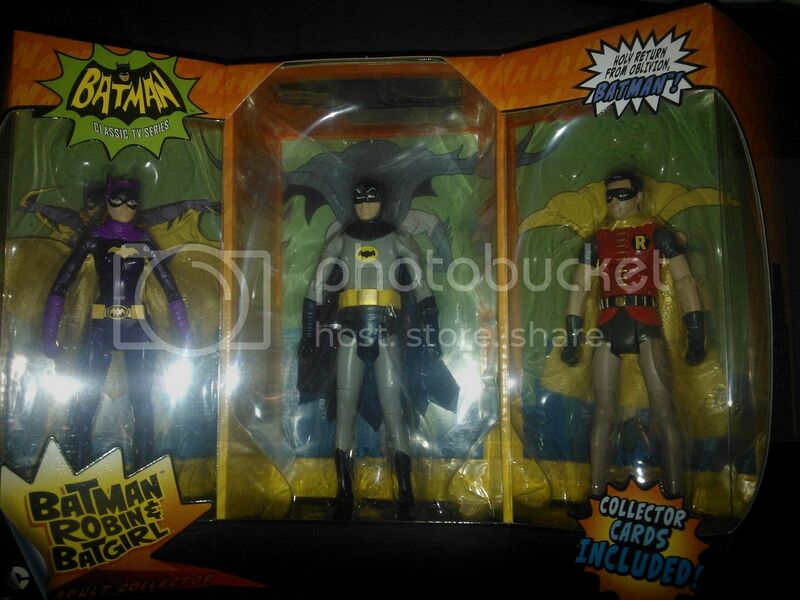 The Batgirl/Batman/Robin 3-pack is showing up at retail TRU stores now too. Someone just spotted it in Oklahoma City. Yeah I agree, the one shown at comic con was way better. I noticed the colors were off as well and you are right about the hair. The cape is pointless as it is always flared out. Thanks for using the stiffest material you could find Mattel. I still think that head sculpt is different. the one I have is softer and I don't think it's just a paint issue. The way the mask slightly covers the eyes on Yvonne was present on that sample last year. The one I have doesn't have that and looks like the mask is sculpted differently around the face. Also of note, I was watching an episode of the show and the back of the mask comes to a point in the middle of her hair whereas the figure it's sculpted just straight across. This is another one of those cases where I feel the designers didn't really look at a ton of reference as apposed to just "remembering" what they think she looked like. I found the 3 pack, batcave and batmobile with Batman and Robin figures at the Nanuet NY store. I picked up all but batmobile. Batman and Robin are packed seated in the Batmobile in that set. Also make sure you check everywhere. The 3-Pack and Batmobile were in the aisle with the rest of the Batman/DC figures. 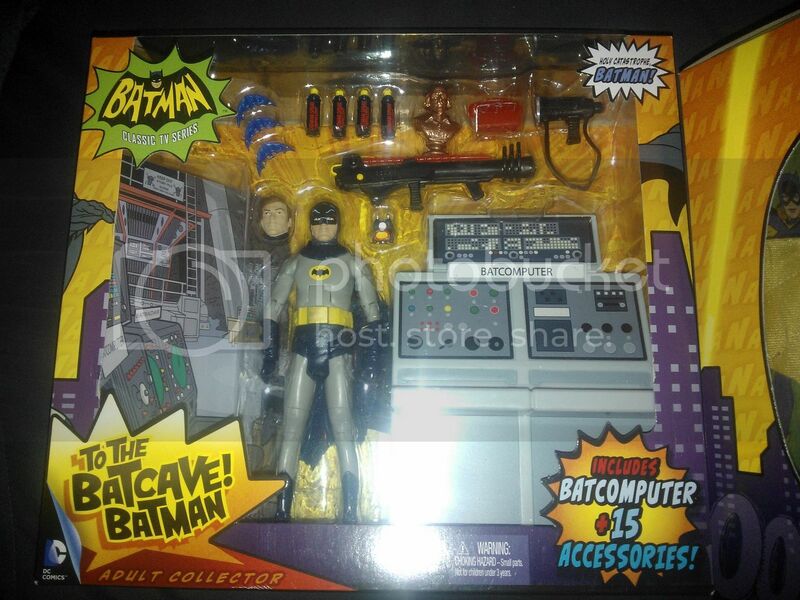 But the Batcave was with the Cartoon Network type toys. Found the 3-pack and Batcomputer set at Tulsa today. My 7-year-old picked out the Batcave set for his birthday over the weekend and he LOVES it. unfortunately, while trying to swap the heads the neck stem snapped right off! Anyone else have this issue? I can reattach the head but it'll never be able to swap out. Can you take it back to the store for a replacement? If not, maybe buy a single release Batman, keep that and take back the broken one for a refund. I already tossed the box and everything. I decided to glue on the Bruce Wayne head and use it as an excuse to buy the Batman/Robin/Batgirl 3-pack. I was just wondering if it happened to anyone else. Even after it busted I still couldn't figure out how to do the swap. It seems like the head was never intended to come off.